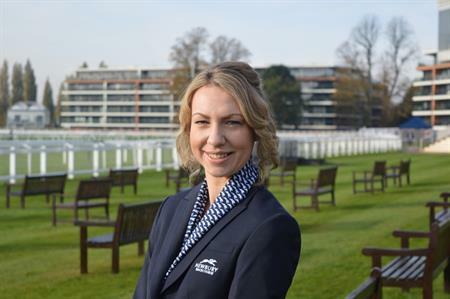 Newbury Racecourse has strengthened its conference and events sales team with the appointment of Natalie Curtis as conference and events sales executive. Curtis brings a wealth of experience from her previous roles at The Ageas and The Ageas Bowl Southampton, and the Hilton Basingstoke Hub Office. In her new role at Newbury Racecourse, Curtis will help to deliver the venue’s events packages, including corporate events. Speaking about the position, Curtis said: "I have always enjoyed working in the events industry – meeting new people and seeing a booking through to completion. I was drawn to Newbury Racecourse due to its reputation as one of the best racecourses in the country as well as its stature in providing high quality events in such beautiful surroundings. I hope to bring some new ideas to the already thriving sales team and look forward to achieving dynamic results." Head of sales at Newbury Racecourse, Tracy Skinner, said: "We are delighted to welcome Natalie to our flourishing sales team and look forward to integrating her into our wide range of exciting events. We have had a particularly successful year and, as we head into 2017, we look forward to seeing what else our growing team can bring to the table."